Break all jellies and reach 50000 points to complete the level. This level is not that hard to previous level and have 18 jellies that are in both corner part of the board with black blockers. You have again just 33 moves so you need to play with good strategy. 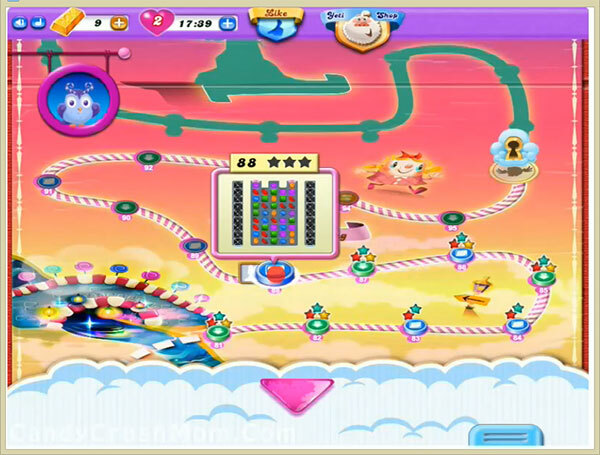 First try to make lot of special candies to break jellies that are in corner part of the board plus try to make colorbomb and combine with striped candy to break more jellies. You shouldn’t waste move and if you get chance to break jellies in any corner then first try to break it. We completed this level with 89840 score within 31 moves and use hammer to break last jelly plus get two star score.